Allegations have been made that low testosterone drugs, also known as “low T”, have contributed to heart attacks, strokes, embolisms and even death in male users. 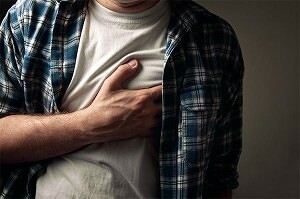 After two recent studies were released that suggested these risks, the FDA has begun investigating the alleged connection between the increased risk of cardiovascular events and the FDA approved low testosterone treatments. Many of the current lawsuits are against Abbott Laboratories, the maker of the AndroGel, a popular topical testosterone drug. AndroGel is highly marketed and commonly prescribed, therefore we expect to see the number of cases continuing to increase. As a nationally recognized personal injury law firm, Cellino & Barnes is committed to helping our clients win cases. For more than 60 years we have dedicated ourselves to holding irresponsible companies accountable, and we have won over $1 billion in settlements and verdicts for our clients. Androgel (AbbVie – Abbott) – Testosterone gel applied directly to the skin. Androderm (Actavis) – Testosterone patch that is applied to the skin. Bio-T-Gel (Biosante) – A Testosterone gel applied to skin. Delatestryl – (Savient) – An injectable testosterone drug. Depo-Testosterone – (Pfizer) – An Injectable testosterone medication. Fortesta (Endo) – A testosterone spray that is applied to skin. Striant (Mipharm S.p.A.) – Testosterone tablet. Testim (Auxilium) – Testosterone gel applied to skin. Testopel (Auxilium) – Time release testosterone implant.